Capital markets watchdog Sebi wants the government to end the practice of Reserve Bank of India nominating a member, or alternatively provide for a cross-representation of the two regulators on each other's boards. Officials said the Securities and Exchange Board of India (Sebi) first proposed that the finance minister amend the Sebi Act to discontinue RBI's representation on its board, as it already has adequate presence of the government nominees and in its over 25 years of existence the regulator has evolved as an "effective and one of the best in the world". Besides, the boards of other regulators such as IRDAI for insurance and PFRFA for pension do not have nominees from other regulators, while there is no corresponding representation of other regulators on the RBI's board, Sebi has contended. However, the Finance Ministry said the RBI's role (Reserve Bank of India) in the financial sector cannot be discounted and that the RBI presence helps in bringing "overall economic view and valuable inputs to the Sebi board". The capital markets regulator, however, feels that the inputs of the RBI on policy issues can be taken through formal discussions and correspondence between the two regulatory bodies, the officials said. Besides, Sebi feels there is also the FSDC (Financial Stability and Development Council), an apex level body comprising of members from the government and various regulators, that has been set up to deal with inter-regulatory issues and overlap of regulatory jurisdiction. Following the reservations expressed by the Finance Ministry on its original proposal and after taking into account the fact that certain securities are under the purview of both Sebi and RBI that are traded on stock exchanges, the capital markets regulator has now made alternative suggestion to provide for cross-representation of the two regulators on each other's boards. The alternative proposal is likely to be discussed by Sebi's board in its next meeting on Friday and will be subsequently sent to the Finance Ministry for further action. Under the Sebi Act, the regulator's board should consist of a Chairman; two nominees from the Ministry of the Central Government dealing with Finance and administration of the Companies Act; one nominee member from the RBI; and five other members to be appointed by the government of whom at least three should be whole-time members. 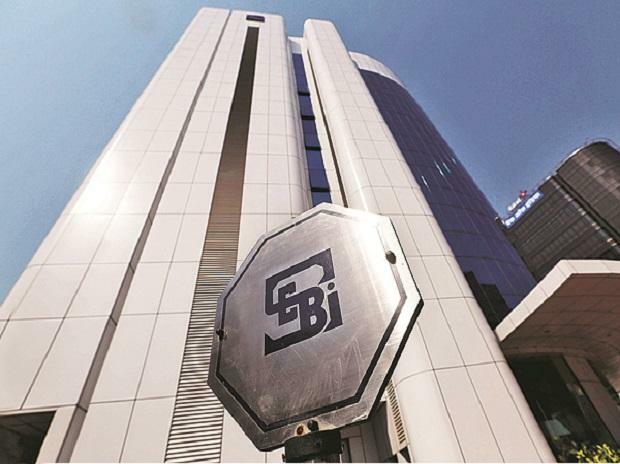 In another proposal, Sebi has also suggested changes in the law to allow it to promote and regulate "first-level regulatory bodies for regulating a segment of intermediaries". Currently, the law allows Sebi to promote and regulate self-regulatory organisations (SROs), which typically regulate their respective members. However, Sebi is of the view that it may not be prudent for certain categories of intermediaries and persons associated with the securities markets, such as distributors of mutual fund products, to self-regulate. They should be instead regulated by a front-line regulatory body registered by Sebi and such a body should have expertise in regulation and supervision like stock exchanges and depositories, Sebi has suggested. The capital markets regulator has also sought powers to promote a company, besides a trust or society, to promote and support activities like investor awareness and education and also training of intermediaries. The Sebi Act mandates the regulator to promote investors' education, training of intermediaries and conduct research for the benefit of the securities market. For this, Sebi has promoted the National Institute of Securities Markets (NISM), which has been registered as a public trust and also as a society. Recently, Sebi also approved creation of National Centre for Financial Education (NCFE) as a company to be co-promoted along with the RBI, IRDAI and PFRDA. The RBI Act, however, allows the banking regulator to promote a company as a subsidiary or otherwise and therefore the securities markets watchdog also wants the government to make similar provisions for it. Officials said the Finance Ministry is of the view that any such powers should be with the central government, but Sebi is of the opinion that an express provision should be made in the Sebi Act to empower it to "promote a company or other kinds of entities (trusts/society etc) only for the purposes of achieving the objectives of the Act."